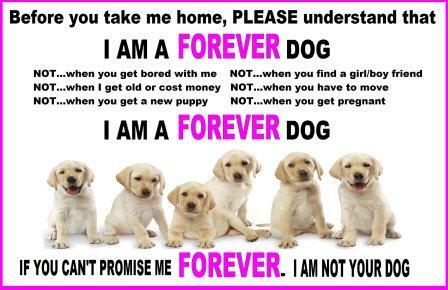 Please be aware that these are just some of the dogs that we are currently needing homes for, we also have many others. 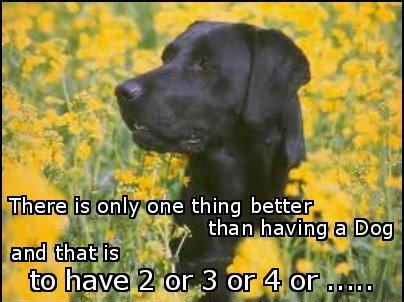 Once you are registered with us we will be able to discuss with you the dogs that are suitable for you. So please go to our contact page to download an application form and an information leaflet. Reason for rehoming: Fred came to us as a neglected dog. He was VERY underweight and had a severe problem with his eyes. Fred has put on weight, been neutered and had surgery to the problem he had with his eyes. He is now a happy and healthy boy. Fred is a well behaved and loving boy. 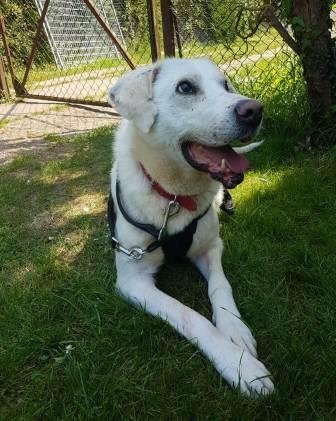 Due to the neglect suffered as a young boy Fred needs to gain confidence when out and continuation of the training our lovely foster home have started. A home with time to spend with Fred. William is a lovely, very cuddly, chunky monkey, friendly boy. He loves a good walk and is quite good on the lead. He also loves children and is friendly and playful with other dogs. William was living with a Spainish family so is only just learning a new language! He really is a lovely boy. Can be protive of his home so unexpected visitors need to be introduced mindfully. William so deserves a brilliant new home and a family to adore him. A family home with time and lots of love to share with William. 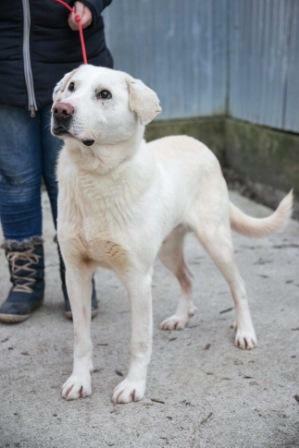 Leo is a handsome boy who is good with children and other dogs. He is a friendly happy boy and looking for a loving family home that are commited to continue his training. General Information:Good points: A lovely pair of dogs that are good in each others company and love their walks and time with their family. Type of home that would suit: A home with time to spend with this gorgeous pair. Lived with children: Yes but we are looking for a child free home as Teddy can be jealous. Good with other dogs: He will sometimes bark and pull towards other dogs and other times ignores them. We have not had him mixed with other dogs. Reason for rehoming: Teddy was jealous of the attention the children received. General Information:Good points: Teddy is a very loving boy and wants to protect his human. Work needed: General socialising with dogs and humans as he is wary of strangers and continuation with training as Teddy is only a young boy. Type of home that would suit: A family committed to working with a young dog. I am back in kennels and although the girls and boys are lovely to me and give me lots of cuddles, I really don�t want to be here anymore. I want a home of my own with someone who will understand me and really love me. When I arrived I was very shut down as I was waiting for the next nasty thing to happen to me. After a few weeks I realised that actually things at last were getting better...good food...no biting dogs....lots of cuddles and a lovely man called Roger who came and took me for walks and talked to me nicely...Wow! 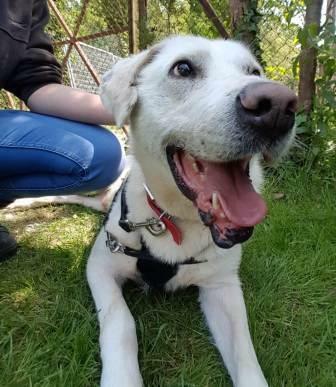 One day when we came back from one of those walks I couldn�t control myself any longer and my face broke into a huge smile and I rolled around on the grass, kicking my legs up in the air and Roger and the girls at the kennels laughed loudly at me! Than I moved in with a lady and settled in very quickly and was told that I was a very good boy in the house. I walk quite nicely on the lead but I am not let off as I am still very nervous of other dogs. I don�t go looking for trouble with them but if they suddenly come over to me then I will react nervously. I lived happily with the lady for many months and then one day she came home and I greeted her happily but then this strange man in work overalls followed behind her into our house and I protected my owner by growling at him and nipped his sock. The lady was angry with me and returned me to LRRSE. Since coming back to the kennels I feel so sad and really miss having my own home. People have offered a home for me but they really haven�t grasped that I need to be gently handled and given time to trust and settle. Meet Skipper, a lovely friendly boy has come to stay for assessment. He is a lovely boy, with a few quirks but that makes him an individual. As an older dog he is quite low maintenance, happy to be left and will sleep in a crate if need be. He has a few rude manners that we have been working on and he has shown great progress in his time with us. He needs to be an only dog and his social skills with other dogs outside seem fine with us but in the past there has been a few issues. Skipper needs an adult only home and with confident owners, this is just so all rules are kept clear and not confusing. He may be 9 but he still needs his brain and body exercised, so a home that will put the time in to continue his training. He is a small chap, loving chap. Type of home that would suit: A confident and experienced owner who has time to spend with him as Skipper enjoys company. A very sweet little girl looking for a gentle, kind home. Lived with cats: Not known but as you can see she is happy to share her crate with a chicken! Lulu arrived with us in November 2018 with her sister Lexi. Both were very shut down and terrified of their own shadows. They didn�t eat or drink for 48 hours nor leave their crate which had been placed in a quiet corner of the utility room. Five months later, Lexi has been rehomed with a new family and Lulu is coming on in leaps and bounds. She is now fully integrated into family life with myself, husband, daughters and two other Labradors. She loves being made a fuss off, particularly tickled on her chest, under her chin and behind her ears. If you stop petting her, she will paw you for more. She is very sociable with us and is less scared of noises around the house. She does however, hate the noise of the hoover, which seems a good reason for me not to do any housework! As yet we have been unable to put a harness on her although this is ongoing. She loves cooked chicken so we are feeding her this whilst she is sitting on the harness which seems to be going well. Lulu will still retreat to her crate when visitors arrive although after a while she will emerge particularly if they have snacks or chicken. We went away overnight and my parents dog sat for us and Lulu spent most of the weekend on the sofa with my mum wanting to be petted. Lulu loves running around the garden and is quite happy amusing herself outside although she does like to nap quite frequently during the day. I think it will be quite a while before we will be able to get a harness and lead on her and before she will be confident in traffic, if ever, but each week we are making small steps. Lulu would be happy to be an only dog or with another small dog and is good with children and chickens (see photo) She sleeps downstairs in her crate all night and is totally clean in the house. She would make a lovely companion for someone who has time to spend with her and continue to improve her confidence. Someone that will continue to allow LuLu to develop skills and confidence in her own time and very happy to continue the good work that has been done already by our fosterers. Good with other dogs: Good with other dogs and currently in foster with other dogs. General Information:Harry is a lovely affectionate boy. He is good with other dogs and friendly to everyone he meets. Sadly Harry is epileptic but this is well controlled by medication and Harry has not had a fit for some time. He needs a stress free home where he can enjoy good walks and lots of cuddles. Type of home that would suit: As above. A lovely boy, who likes nothing more than to be with his family. A family home with time and lots of love to share with Brown. Lassie, Rin Tin Tin and Toto don't show up in rescue. We don't get the elegantly coiffed, classically beautiful, completely well trained, perfect dog. Many never had good veterinary care, kind or consistent training, or sufficient company. Some have lived outside, or left alone for many hours every day. 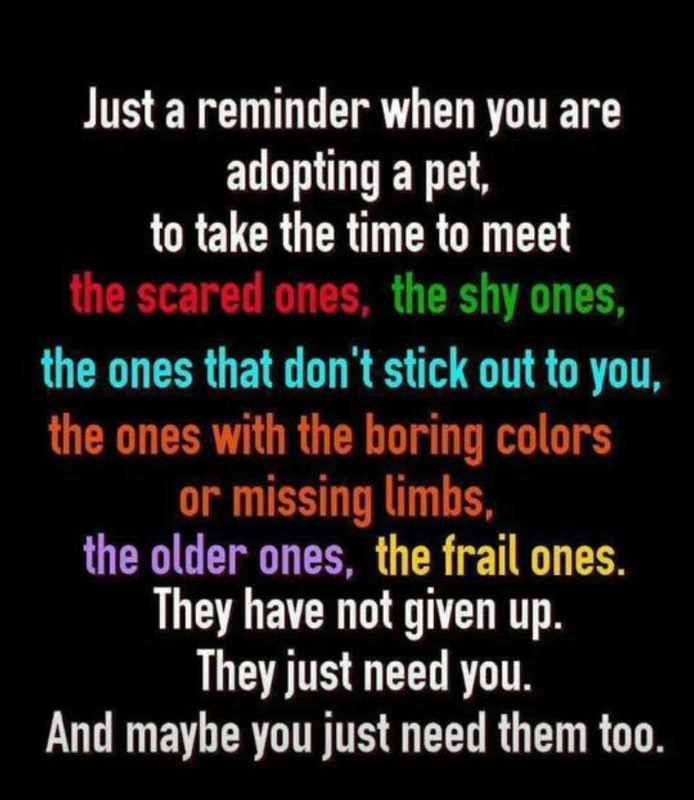 When rehomed they're scared or depressed and anxious and will act out of character but time, patience and love will solve this. 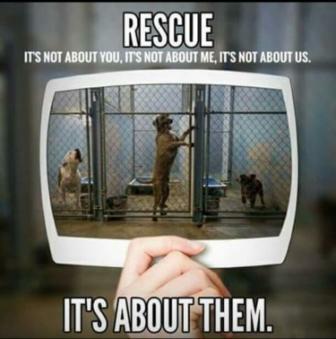 When you take on a rescue dog you need to be 100% committed to making it work, �ride the storm� but don't ever give up. 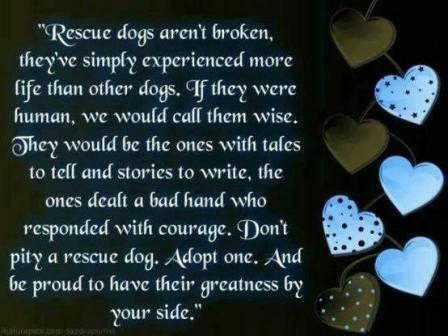 We at rescue never give up on a dog. 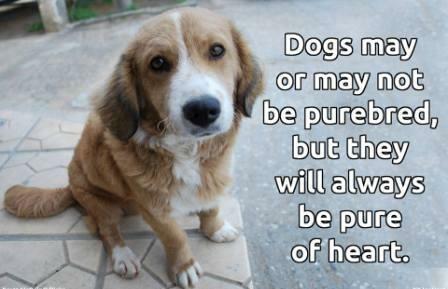 We know that a dog is a living being, with a spirit and a heart and feelings. 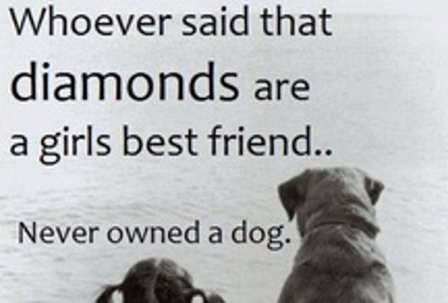 Our dogs are not commodities, things, or garbage. 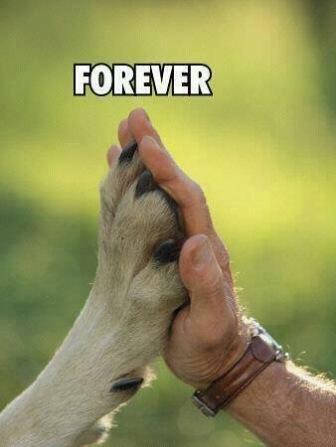 They are part of life�s sacred creation and they deserve as much love and care and respect as Lassie, Rin Tin Tin or Toto. 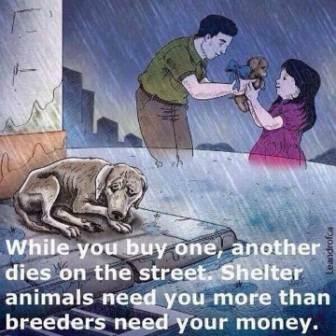 So please, please don't come to rescue in the hopes of getting a "bargain," or "a fully trained dog�. Come to Rescue to give, to love, to save a life -- and to mend your own spirit. 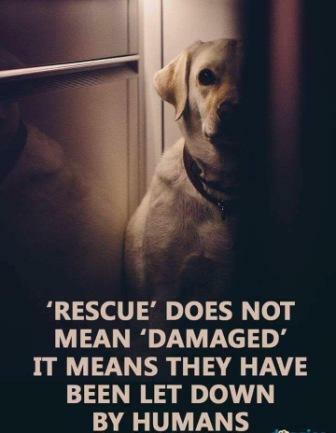 For Rescue will reward you in ways you never thought possible. 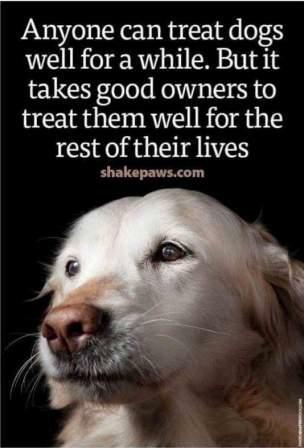 We can promise you this -- a rescue dog will make you a better person.